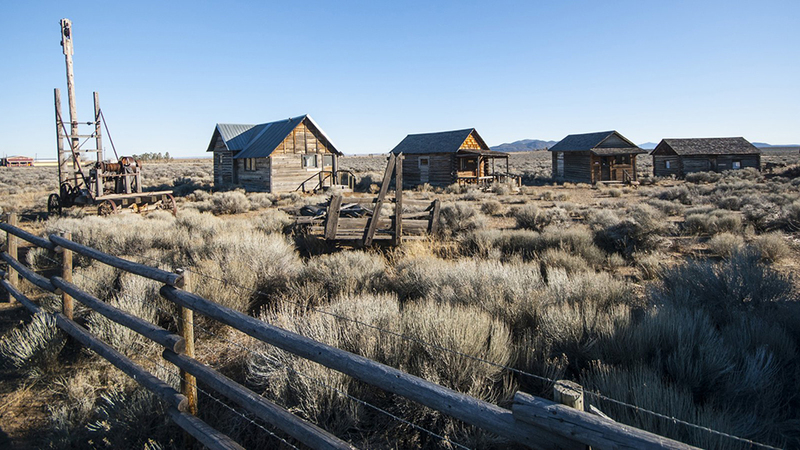 The Fort Rock Valley Historical Society, founded in 1984 with eight charter members, saw the evidence of the life and times of the pioneering chapter of Oregon’s history in remote Eastern Oregon being lost as abandoned homesteads disappeared in the harsh conditions or were destroyed. The original members conceived the Homestead Village as a way to preserve a way of life which had historical significances, and the Village opened in 1988 with two buildings, the Webster cabin and Dr. Thom’s office. In the ensuing years, more land was acquired from the BLM and more buildings were brought in from surrounding homestead sites. Currently, you can visit several homes, a church and a school in the village, as well as pieces of vintage equipment. As this is an ongoing project, more structures and historical pieces will be added in the future. Without the dedication and perseverance of the Fort Rock Historical Society’s members, there would be very little left of these rare examples of early pioneer life in the Fort Rock area.